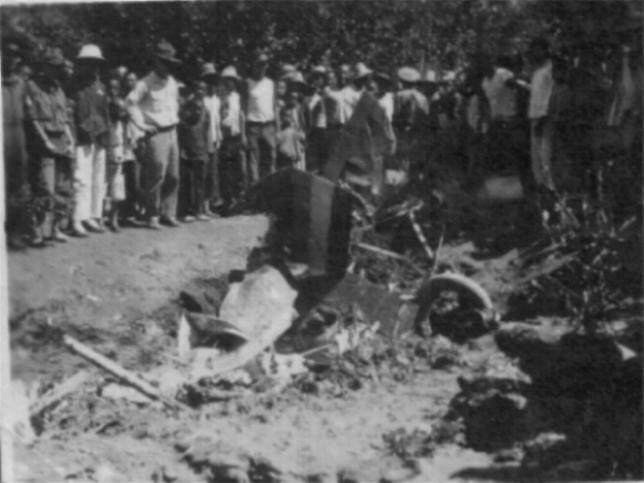 "Keywords" aviation, aviation history, early aviation, marine aviation, early pilots, test pilots, lockheed, lockheed history, lord beaverbrook, airplane crashes, general westover, mint canyon crash. My father was a man of few words, but he believed in getting the job done and doing it right the first time. As a young man his dream was to become a Pilot and fly all over the world. Few of us ever get to see our dreams come true and to do everything we ever wanted to do, but I truly believe that he did. During 1937 and 1938 while loaned out by the Lockheed Company as private pilot for Lord Beaverbrook, the British Industrialist, publisher, and cabinet member of Ministry of Aircraft Production, before World War II, he flew all over Europe. 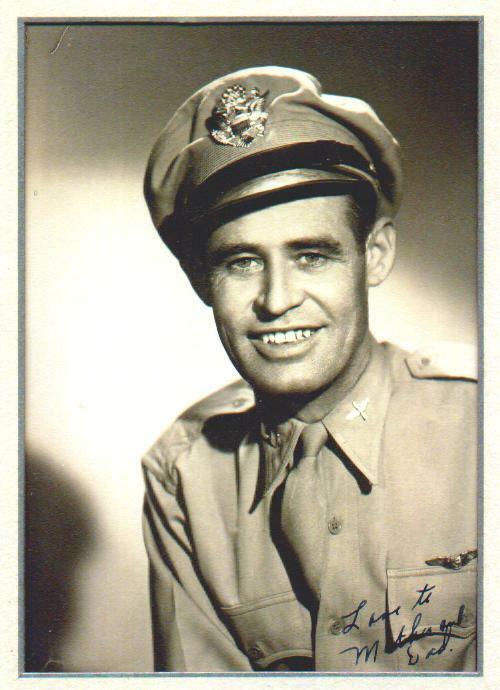 I know that he had a high security clearence in the Military and did some flying that he never talked about. 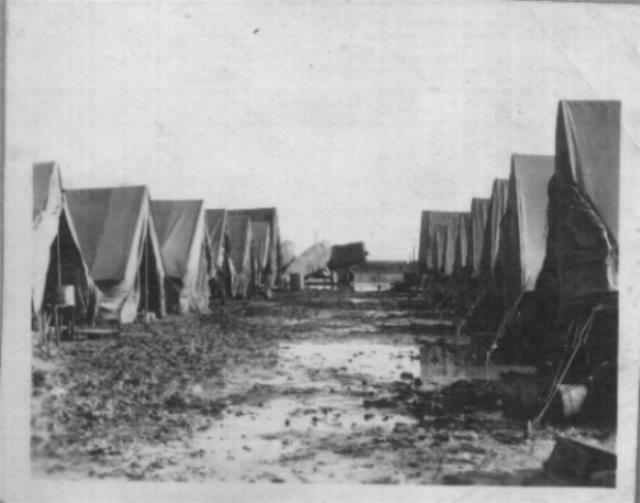 He did tell me once that he used to carry a group of men out into the desert (here in the U.S.) where they were doing some testing, and on the return flights he would have to search the aircraft and pick up all scraps of paper after everyone got off and before anyone ealse could come on board. The time was during the early 1940's, the men were Scientist and were very careless about writing down notes and then wadding up the paper and throwing it on the floor of the plane. 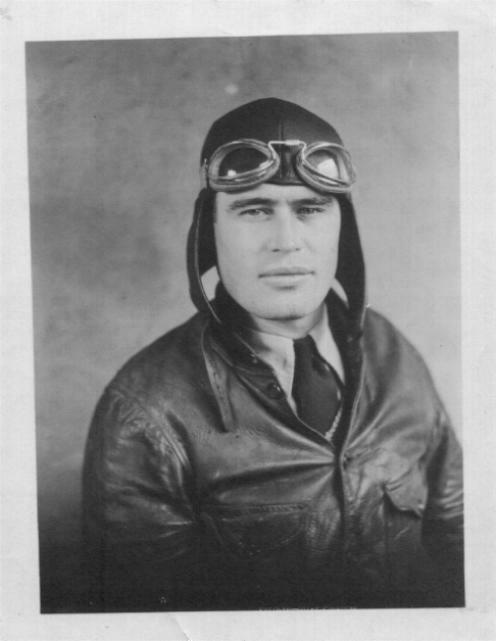 It all started on 17 Jan 1925 when he enlisted in the Army in order to get his Wings and to become an Aviator. 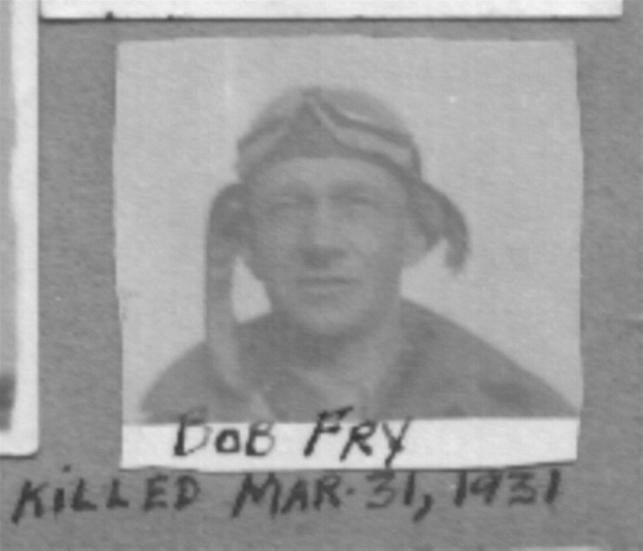 He lost his Army Flight Instructor and had to enlist in the Marine Corps on 22 May 1926 in order to complete his flight training. 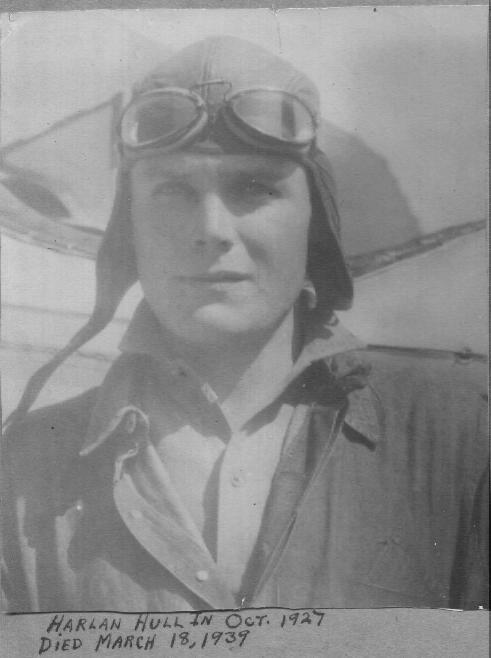 He got his wings on 1 Nov 1926. 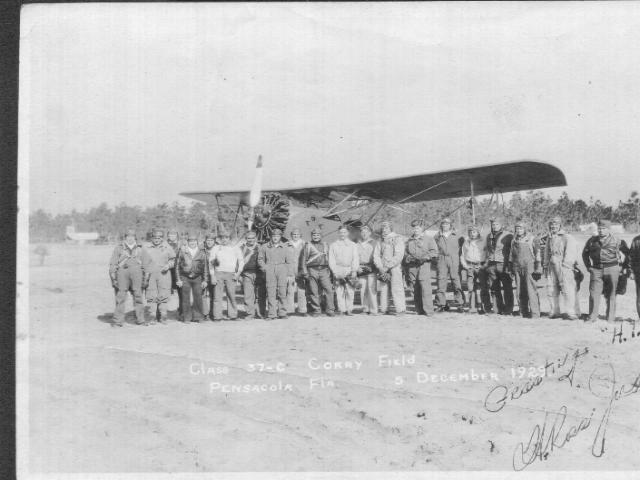 Dad was an Enlisted man while in the Marines, not an Officer, and when he became a Flight Instructor at Penscaola, Florida during the year of 1929 that fact gave him a lot of problems with some of his students that were Officers. 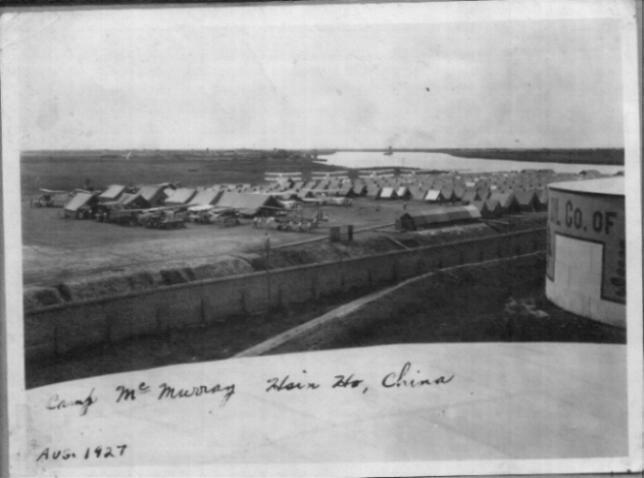 Before becoming a Flight Instructor he served as a Pilot with the Marine Expeditionary Force at Camp MacMurray, Hsin Ho, China during 1927-1928. 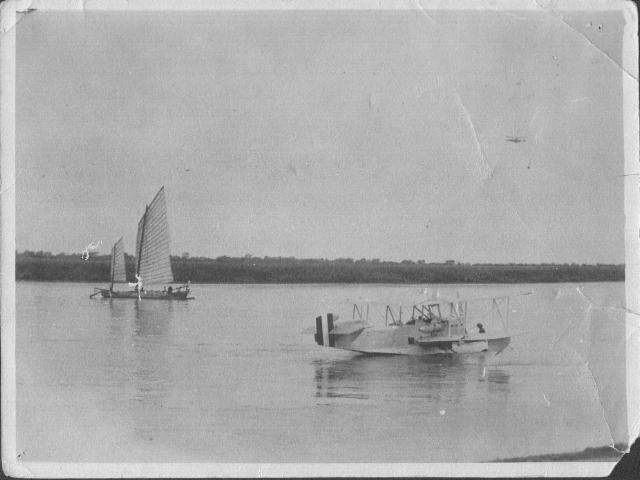 These were the first Marine Pilots to fly in China. At first their flights were not well accepted, and very restricted by the Chinese. 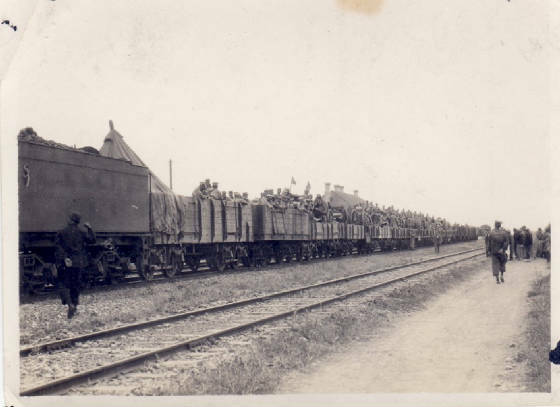 By giving air dimonstrations, air shows, and rides to certian Chinese Officials the Marines were soon able to show that that they were not a threat to the people and could be of help to the Warlords should the need arise. This gave the Marines more freedom in the skies over China. Harry Ira Downes, born 24 Jul 1905 at Marion, Illinois. Graduated Frankfort Community High School, West Frankfort, Ill., June 1923. Enlisted U.S. Army 17 Jan 1925. Graduated as "Aerial Photographer" from Air Services Tech. 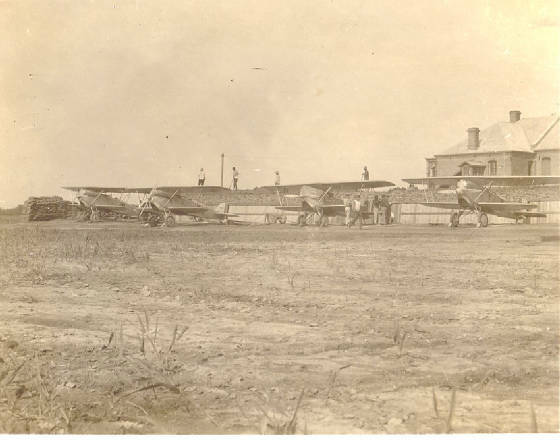 School at Chanute Field, Ill. in July 1925. 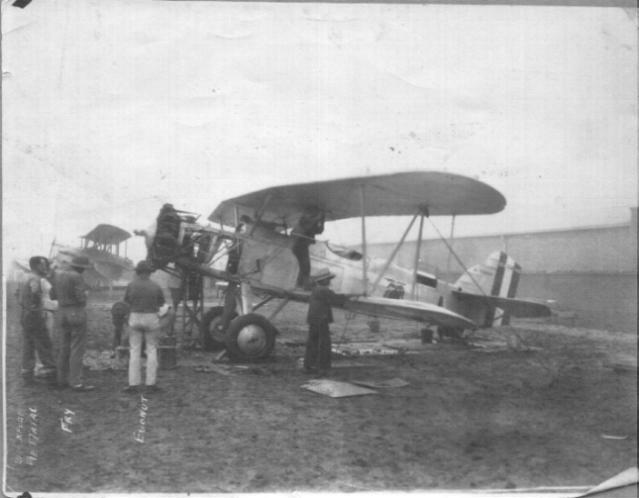 Was a Flying Chadet in U.S. Army Air Services at Brooks Field, Texas, from Sept. 1925 to Feb 1926 receiving about 60 hrs solo flying. Was washed out of class because Instructor become injured and there were no provisions to allow a cadet to join a succeeding class. 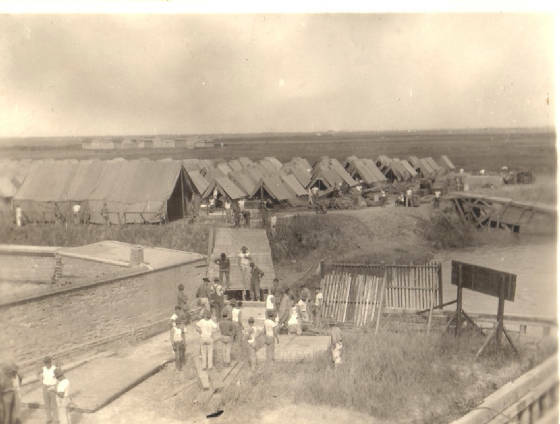 Was discharged from U.S. Army as Flying Cadet on 9 Feb 1926. Enlisted in the U.S. Marine Corps 22 May 1926. 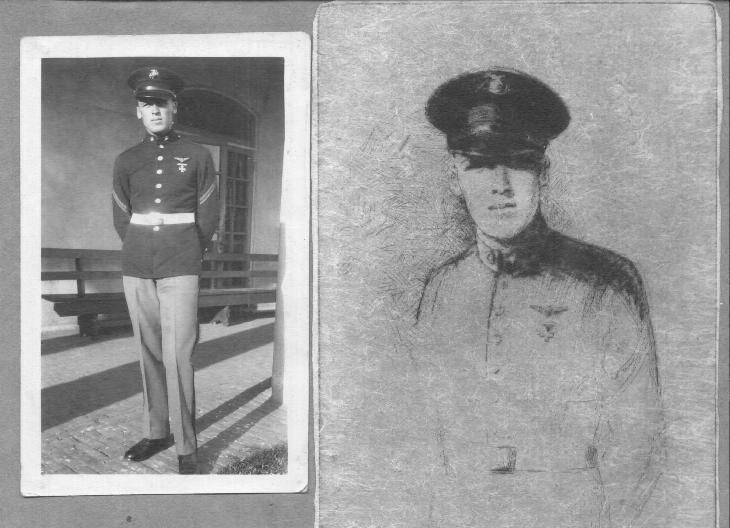 (Hull 1927, just before he graduated from flight training school at Pensacola, Florida along with my father. 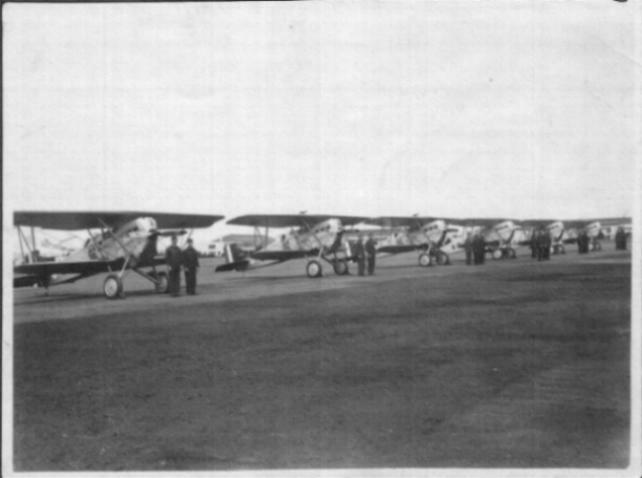 At an airshow at Flagstaff, Arizona.Hull was one of three Navy pilots who performed at the Flagstaff airport during the opening ceremonies in 1927. The airport was so ill sited near a mountain, it later closed. 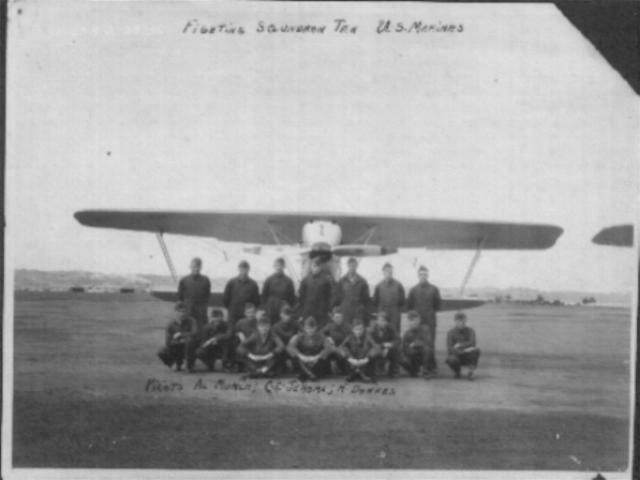 Designated Naval Aviation Pilot # 914-28 on 1 Nov 1926 after graduation from Naval Flight School, Pensacola, Florida. 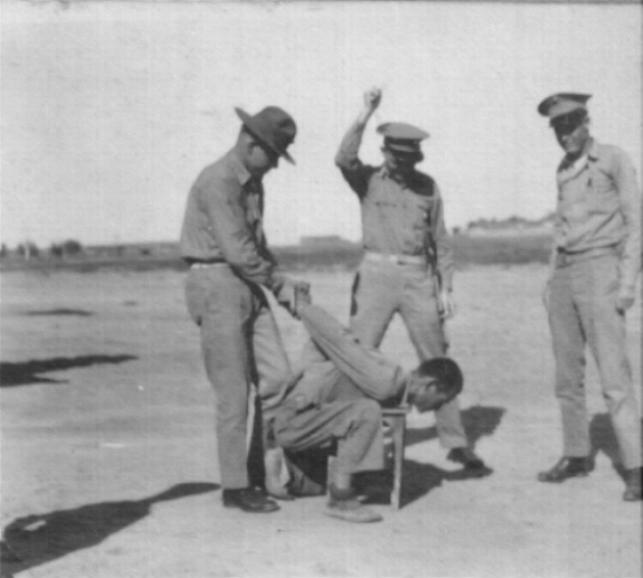 Served as piolet with U.S. Marine Expeditionary Force in China from 26 Feb 1927 to 22 Nov 1928. 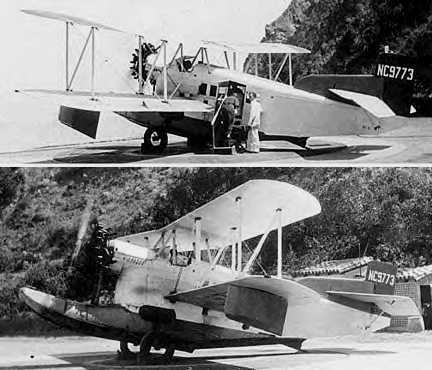 Served as Flight Instructor at Naval Flight School during entire year of 1929. 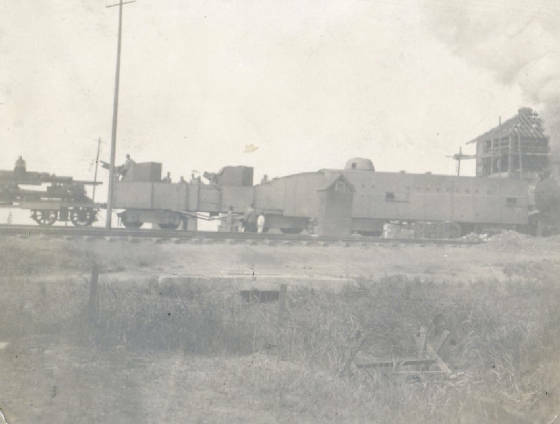 Received excellent character discharge at Naval Air Station, San Diego from U.S. Marine Corps on 20 Apr 1930 as Staff Sergeant. Commanding officer Ross E. Rowell, Major, inserted on discharge under remarks: Service honest and faithful. A well trained and experienced aviation pilot. 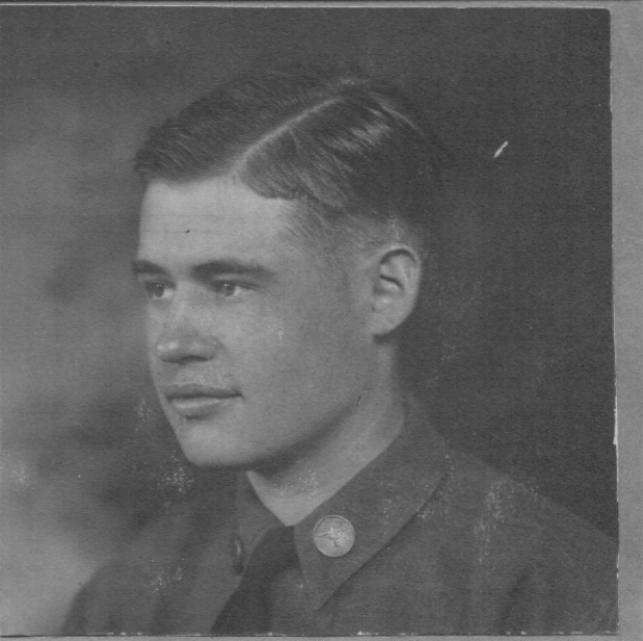 Served in volunteer Marine Corps Reserve as Staff Sergeant from 21 Apr 1930 to 20 Apr 1934. 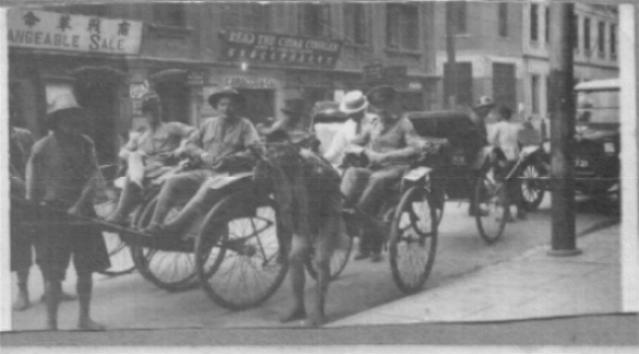 Hired by Western Air Express in Apr 1930. 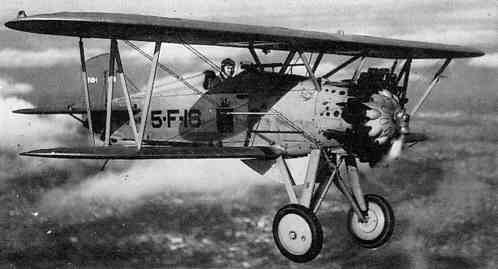 Served as Co-Pilot on Amarillo to Tulsa and Amarillo to Dallas run from 4 Apr 1930 to 30 May 1931 in Fokker F-10 transports. Received air transport license # 5239 on 15 Feb 1929. Received airplane and engine mechanics license # 4672 on 15 Feb 1929. Served as Capt. on Las Angles to Avalon, Catalina for W.A.E. 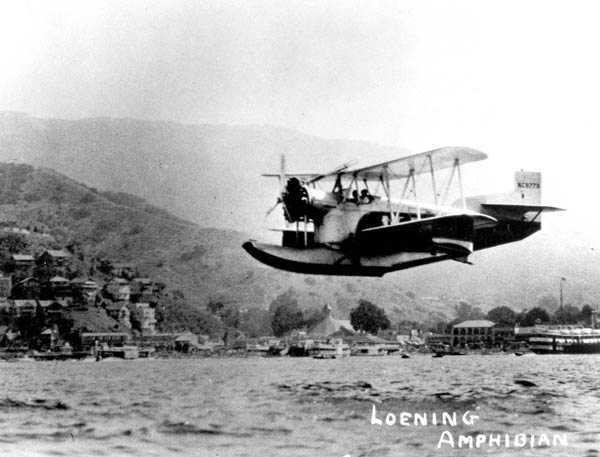 from 1 Jun 1930 to 31 Mar 1931 in Loening Amphibians.